Farofa is a typical accompaniment to many Brazilian dishes, especially the classic black bean stew feijoada. 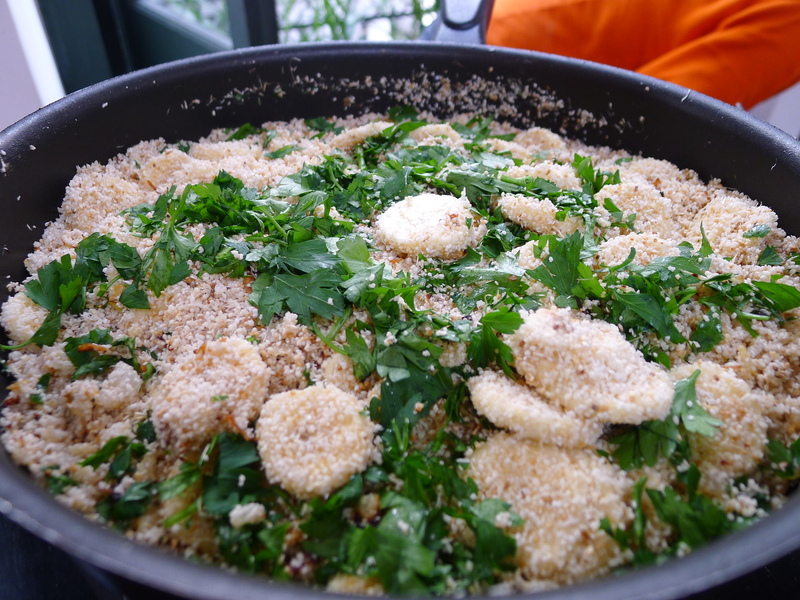 At many locals restaurants in Brazil, you will often see a bowl of farofa already on the table, just waiting to complement some hearty Brazilian dishes. Farofa is made of manioc flour, also known as cassava powder. Cassava is a plant native to South America that yields edible starchy tuberous roots. Cassava, when dried to a powdery extract is known as tapioca, and is usually sold in the US as a very fine starch. 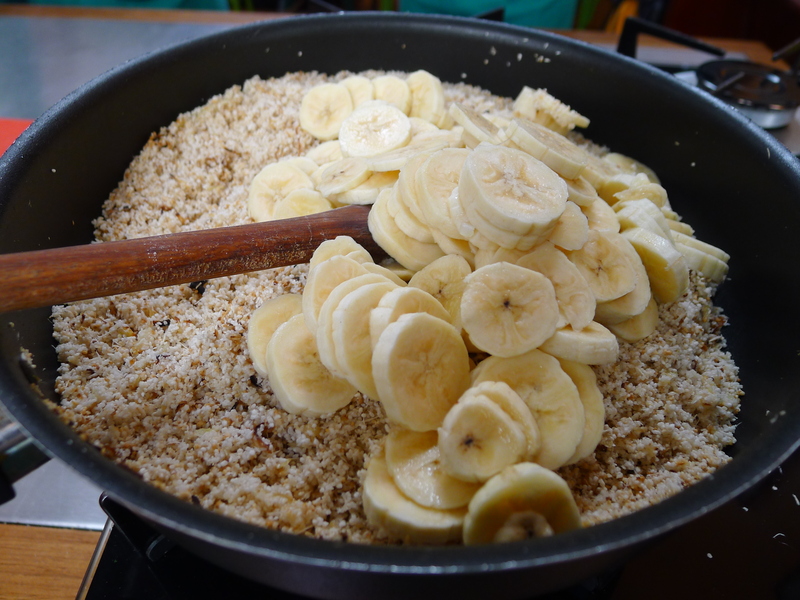 However, farofa requires a manioc flour that is coarsely ground, with a texture like farina cereal. 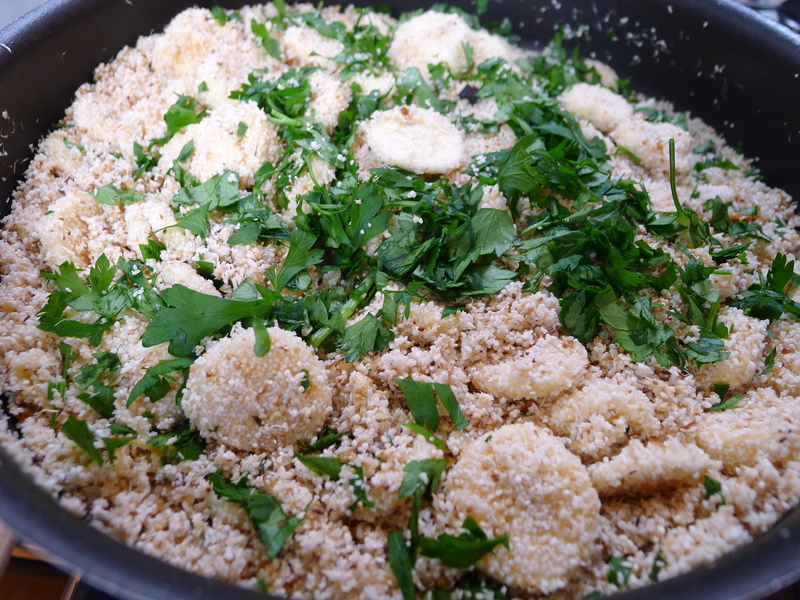 You can find manioc flour in Brazilian markets or online… but if you can’t be bothered with authenticity (aka me outside of my Brazilian cooking class), I think some unseasoned dried bread crumbs would substitute just fine! We prepared this sweet and savory dish to serve with the seafood moqueca during my Brazilian Cooking Class in Rio de Janeiro. 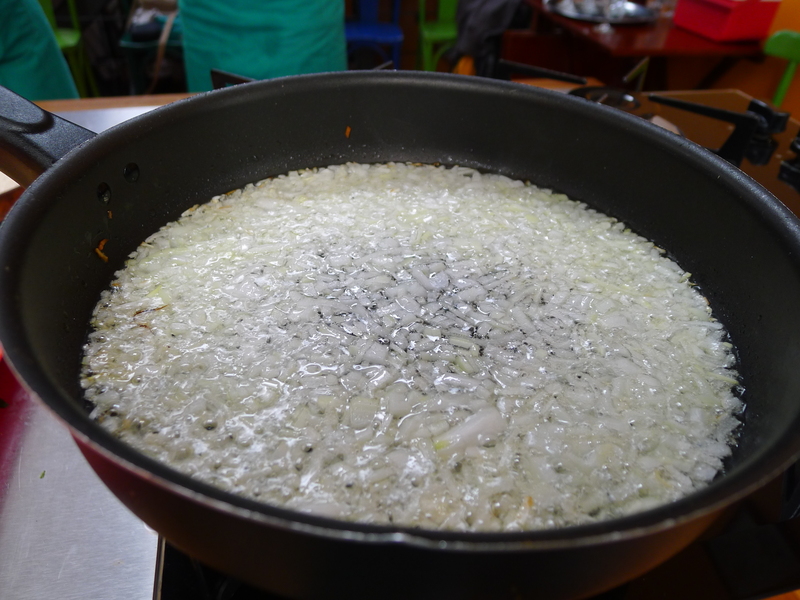 In a large skillet over low heat, melt the butter and saute the onions until golden. Stir in the manioc flour and cook, stirring, for 3 to 4 more minutes until well mixed and evenly toasted. Remove from heat and stir in the bananas, coating each piece. Season with salt and sprinkle the fresh parsley.